The goal of the administrative support team is to ensure the best possible conditions for the smooth operation of the laser center. We are constantly striving to create a transparent and inspiring work environment and to support all teams and individuals on their way to excellence and success. Our HR team is in charge of satisfaction of almost a hundred employees. We care about our employees. That is why we allow flexible work schedule, we support self-education and personal growth and we organize many team events. More about the benefits of working in our laser center can be found in the Career section. Our marketing and PR team has organized dozens of popular science and science outreach events for students and the general public. The team also establishes and maintains good relations with media and helps deepen cooperation with industry partners and scientific institutions. For more information, see the Popularization of Science section. The Legal Department is responsible for the complete legal agenda related to the HiLASE Center's activities, in particular public procurement, solutions of legal relations with suppliers of goods and services, Intellectual Property and the legal issues related to the HiLASE Center cooperation within national and international science projects. The motto of our ICT department is "We are here for you". Our goal is not only to optimize IT systems, but also to effectively address the individual requirements of our colleagues, and that is why we always approach them with maximum willingness. The Purchasing department transforms the requirements of the scientific teams and the finance department into reality. Every year, hundreds of purchases from all around the world are taking place, from small electronic components to large units without which our scientists could not fulfil their vision. The Finance Department is responsible for management of smooth absorption of awarded grants and communication with fund providers. The team manages dozens of projects and takes care of their whole "life cycle", which includes project proposal creation, its successful implementation and completion and project sustainability phase. Ing. Lukas Masopust, MBA: Life is a game - play it all! 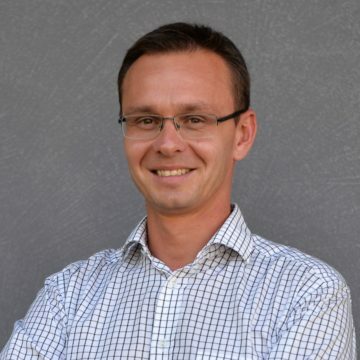 Lukas Masopust received his MA degree in Economics and Public Administration from the University of Economics in Prague in 2005 and MBA degree in International School of Business and Management from the University of Economics in Prague in 2019. He has a strong background in preparation and implementation of large scale projects from the Government level and private consulting company. Since 2011, he is the Deputy Head of HiLASE Centre at the Institute of Physics (IoP) of the Czech Academy of Sciences. Moreover, he is a Project Management Professional (PMP) according to the international PMI certification standard. Since 2017, he is at the position of Executive Project Manager of the HiLASE Centre of Excellence project with total budget of EUR 45 mio.